Rain clouds slowly drift over the exotic. 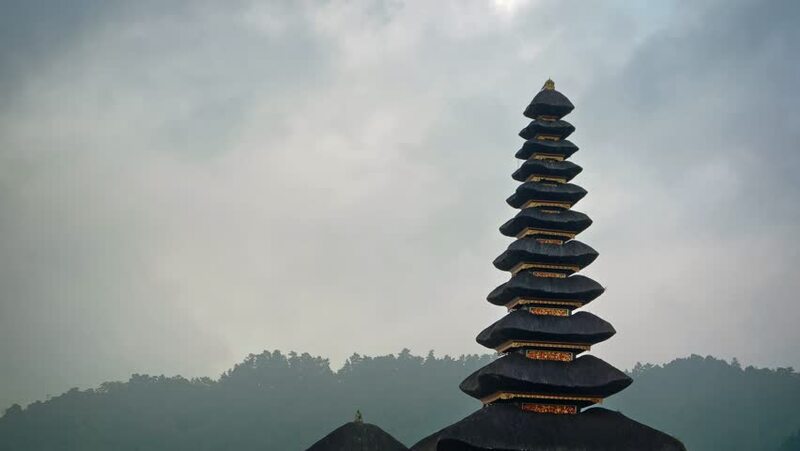 tiered pagodas of Pura ulun Danu Bratan. a Hindu temple in Bali. Indonesia. hd00:14Pura Ulun Danu Bratan, or Pura Beratan Temple, Bali island, Indonesia. Pura Ulun Danu Bratan is a major Shivaite and water temple on Bali island, Indonesia.